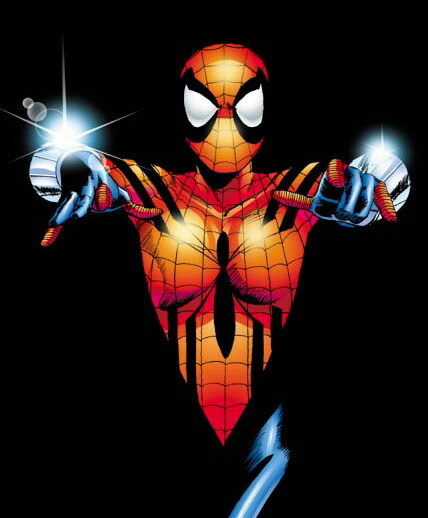 Spider-Girl (May "Mayday" Parker) is a superheroine in Marvel Comics' MC2 universe. The Character was created by Tom DeFalco and Ron Frenz as the teenage daughter of Peter Parker (Spider-Man) and Mary Jane Watson, and first appeared in What If (vol. 2) #105 (February 1998). She later acquired her own ongoing comic book, Spider-Girl, written by DeFalco and drawn by Frenz and Pat Olliffe, which was the longest-running superhero book with a lead female character ever published by Marvel before being relaunched as The Amazing Spider-Girl, and later The Spectacular Spider-Girl. Peter and Mary Jane named their daughter after his Aunt May. More about Spider-Girl (Marvel Comics) Character Review - keep on reading !! 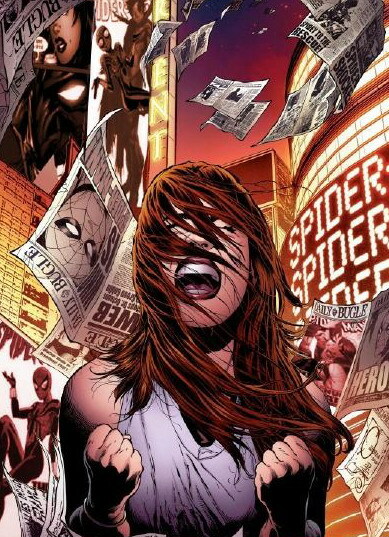 May "Mayday" Parker is the child of Peter and Mary Jane Parker in a future, alternate universe continuity. In the MC2 continuity, they were reunited with their baby daughter by Kaine, who found the child living with Alison Mongraine, the con artist who had kidnapped the baby on instruction from the Green Goblin. After they were reunited, Peter lost a leg during the horrific final conflict with the Green Goblin. After the battle Peter was offered a bionic replacement from Mister Fantastic but, considering it a wake-up call, decided to retire and focus on being a husband and father (the battle is glimpsed in Spider Girl #7, and fully explained in Spider Girl #49). For years, they chose to keep their past from May and hoped that she wouldn't develop powers of her own. Despite her parents' hopes, May began developing versions of her father's spider-powers when she was 15. At the same time, Normie Osborn, grandson of the original Green Goblin, set out to restore the family name. May donned Ben Reilly's Spider-Man costume to stop him and soon took to crime-fighting, at first hindered, then helped, by her worried parents. May shares traits of both of her parents. Like her mother, she is a beautiful, charismatic, and a popular student, and she is intelligent and bright, just like her father. She also inherited his love for in-fight bantering. In addition, she is a very good athlete and excelled in her girls' basketball team until she quit, after her powers emerged. On the one hand, May seems to have inherited the "Parker luck" in which her dual identity wreaks havoc in her private life. On the other hand, her superhero career, unlike her father's, begins with her successfully protecting her family. From the early part of her career onwards, Spider-Girl has developed a reputation for avoiding unnecessary battles and reforming her former adversaries, like Normie Osborn and Raptor. Spider-Girl quickly establishes herself in the superheroic community, gaining reserve status in the Avengers and allies in the New Warriors and Fantastic Five. In The Amazing Spider-Girl, May promises to give up costumed super heroics, dates Eugene Thompson, and runs for student council. When Mary Jane becomes aware that the Hobgoblin poses a threat to her daughter's teenage friends, she allows May to resume her activities as Spider-Girl (a situation they wanted to keep secret from Peter). After a battle with the Hobgoblin, May tells her father the truth, and after a conversation with Mary Jane, they allowed May to resume her Spider-Girl identity. After an attempt at helping the S.H.I.E.L.D. government agency, a case filled with a piece of the Carnage symbiote was released. It attaches itself to May's friend Moose, who becomes the new Carnage. In exchange, Carnage will bond itself to Moose's terminally ill father, curing him in the process. Carnage causes a stir at May's school and kidnaps Peter and Baby Ben, forcing May to confront her friend. May tries to talk to Moose within the symbiote but fails, and it bonds with her brother Ben. Peter escapes as May battles the two symbiotes and gathers sonic gear that may be able to defeat the symbiote. However it is May who uses the weapons, thereby destroying the piece of the Carnage symbiote. Her success is not without a measure of collateral damage: not only is Moose furious at Spider-Girl for dooming his father, but the sonic weapon renders Ben deaf. Ben's hearing is eventually restored thanks to the intervention of Normie Osborn. Normie later stumbles on one of Norman Osborn's former labs, and discovers a fluid tank containing what appears to be a physical duplicate of May Parker. Notes left behind by his grandfather indicate that this Mayday is the original he kidnapped years ago, hinting that the Mayday raised by Peter and MJ is yet another clone. Fury the Goblin Queen begins acting out the Green Goblin's final gambit against Peter Parker. While kidnapping the retired Spider-Man, Fury also activates a signal that awakens the unconscious girl within the Osborn labs' tank. The changeling escapes, confronting Mayday on the roof of her high school just as she is changing into Spider-Girl. The two briefly battle before being caught in an explosion. A critically injured May is rescued from the debris by Araña (Anya Corazon)'s forces. Araña, realizing that May might not survive her ordeal, offers to merge with her. However, she intervenes in a vision quest that Mayday is undergoing. By aiding her overcome a force she was meant to overcome alone, she obstructs Spider-Girl from uncovering whether or not she is the true May. Araña also has an ulterior motive: by assuming the body and power of Spider-Girl she hopes to take the Black Tarantula, an adversary and former lover, by surprise and defeat him. Araña successfully completes the merger and temporarily assumes control of May's body, leaving May and a third, blond woman who shares her name (later revealed to be the spirit of Aunt May) trapped within Araña's body. Meanwhile, the changeling emerges from the blast relatively unharmed and attempts to resume May's life. However, her presence deeply disturbs Benjy. She later receives a call from Normie, telling her about the capture of Peter Parker, leading the changeling into taking on the role of Spider-Girl. The two women are restored to their rightful bodies while in battle with others. May, in Araña's body, runs into the changeling just as Araña, in May's body, enters the lair of the Black Tarantula. The Black Tarantula is able to see through Araña's trick and nearly knocks her unconscious, just as May, in Araña's body, is knocked unconscious as well, leading the two of them to recover their original bodies. Normie Osborne, along with Kaine, Phil Urich (in his Green Goblin Costume), Darkdevil, and Raptor, try to rescue Peter Parker from Fury's hands, unaware of the fact that Peter has absorbed the mind and memories of the original Norman Osborn. This leads to a fight between the assembled heroes and Peter, now possessed by the Green Goblin. May arrives just as Peter/Green Goblin reunites with the changeling, who is revealed to have been genetically spliced with the DNA of the Venom symbiote, giving her similar metamorphic powers displayed by Spidercide, but without the need for a host like normal symbiotes. Bonding with his "daughter" (and, unintentionally, Spider-Girl), the possessed Peter declares himself as "The Goblin God" and begins to go on a rampage, while May finds herself trapped within her father's mental psyche. With the aid of the spiritual influence of her Great Aunt May Parker, as well as flashbacks to the day she healed Normie Osborn's psychological scars, Mayday and Peter are able to overcome Norman in a psychic duel and convince the Brand New May that May is a good person. Norman is seemingly defeated, but not before he denies Mayday the chance to discover whenever or not she is the true daughter of Peter and Mary Jane, or the clone. Mary Jane is rescued from near-death by Benjy, who reveals he has developed organic webbing. With the Brand New May uncertain of her place, May proposes she become a member of the Parker family; Mary Jane agrees, though Peter distrusts her and objects to the idea. May takes a walk, reflecting on how her parents, baby brother, and potential new twin sister have overcome so much and truly become "An Amazing Spider-Man Family". The following storyline sees Mayday and April begin to steadily grow as crime-fighting partners, with April proving at times to be unstable and far more intense and ruthless than her "cousin" Mayday. At one point, April murders Tombstone when she believes him to have murdered May. In the meantime, whilst trying to control the rising gang warfare in New York City as well as keep her unruly cousin in line with both her temper and powers, Mayday's relationship with comic book artist and friend Wesley begins to blossom into a deeper bond, and Wes at times demonstrates hints that he knows May's identity. April briefly attempts to play mischievous match-maker with the pair by posing as May, but Wes sees through her deception. April eventually takes on the name "Mayhem" and embraces her symbiotic, intense, no-nonsense nature and cuts herself off from The Parker family to pursue a life as a vigilante who answers to no one. The Spectacular Spider-Girl title concludes with May sacrificing herself to save April's life. However, in the far future, a future incarnation of April uses Doctor Doom's time machine to return to the present and convince her past self to act responsibly, she does and saves Mayday's life at the cost of her own and at the cost of the future that came to be. May is later united with Wes, who reveals that he does indeed know May's true identity and they kiss, beginning a relationship. May Parker inherited many of the same abilities as her father, Peter Parker. May possesses superhuman strength but has less than her father, can leap several stories high, and can cover the width of a city block. Spider-Girl's reflexes are also heightened to levels well beyond that of an ordinary human. She heals somewhat faster than a normal human, and is more agile than Spider-Man. Spider-Girl can adhere to almost any surface through a bio-magnetic field her body generates, allowing her to scale the sides of a building, just like a spider. Wall-crawling doesn't come as naturally to May as Peter; she has to concentrate to keep herself from slipping off surfaces. In addition to adhering to surfaces, May can also repel herself like an opposing magnet, or she can repulse and adhere another object or person through a shared medium. For example, she can cause a person to stick to a wall they're touching just by touching that same wall and willing them to, or she can just as easily violently push them away. May Parker has inherited a "spider-sense", a clairvoyance that warns her of danger that is somewhat more powerful and reliable than her father's. It tells her the direction a threat is coming from with a high level of accuracy. Through intensive training, she learned to fight blindfolded using only her spider-sense. She can use it to spot weaknesses in an opponent and use them to her advantage. She can also sense mundane threats or observations like her father, but unlike him, she can use it to sense deception. Her Spider-sense is also capable of differentiating between various threats, allowing May to "recognize" a familiar danger. By touching her father's clone, Kaine, she experienced a shared precognitive vision, but she does not normally have that ability. 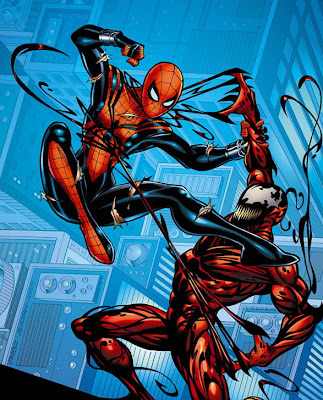 May also has mechanical web-shooters based on Ben Reilly's web-shooter design, but longer and narrower. They can fire impact webbing and metal needles called "Stingers". May rarely uses the stingers, thinking them to be "too brutal". Her mobile phone is modified to attach to one of her web-shooters, and looks like one of its cartridges. She occasionally uses spider-tracers, but as they are tuned to her father's spider-sense and not hers, she needs a receiver to detect them. She wears a skin tight spandex unitard which she was uncomfortable with at first because of its revealing characteristics but has grown accustomed to it and even enjoys wearing it as she has been quoted as saying "it feels like a second skin." Spider-Girl once lost her powers due to an electric shock. However, she borrowed the Green Goblin equipment from Normie Osborn until she regained them. May has also received martial arts training from the Ladyhawks and Elektra Natchios, as well as being drilled in the use of her powers by her father. 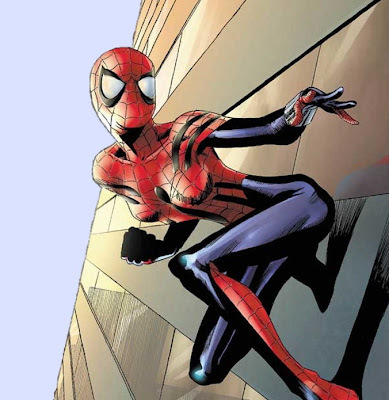 Spider-Girl appeared as one of the alternate costumes for Spider-Woman in the multi-platform action-RPG Marvel: Ultimate Alliance. 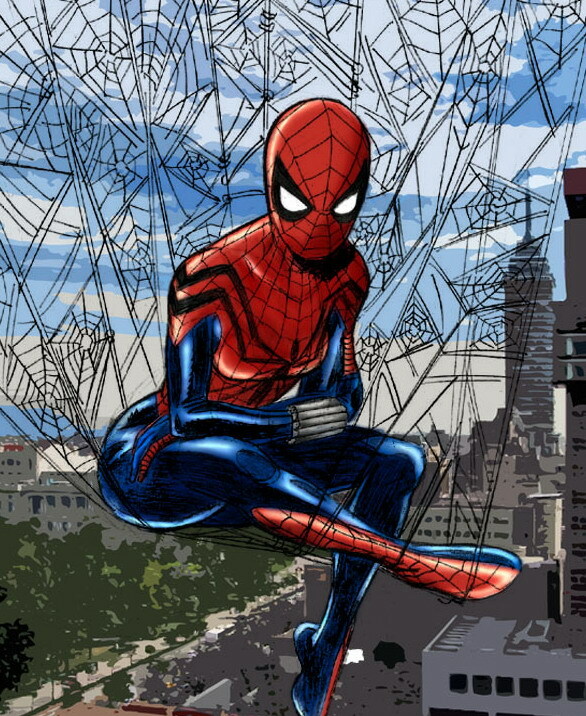 Spider-Girl appears in Spider-Man: Shattered Dimensions briefly shown in Madame Web's image of alternate dimensions. 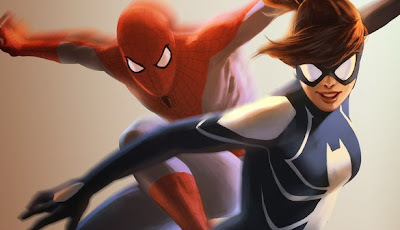 Spider-Girl is a playable character in Marvel Super Hero Squad Online.